This World Oral Health Day, Philips Malaysia is encouraging Malaysians of all ages to develop and maintain good oral healthcare habits. Oral disease affects 3.9 billion people worldwide1 and untreated tooth decay impacts almost half of the world’s population (44%). Meanwhile in Malaysia, studies found that only 27.8% of the population visited a dentist in the span of one year, while as many as 37.0% of the population had never received oral healthcare2. “This World Oral Health Day, we want families to take charge of their oral health to prevent oral diseases, thus protecting their general health. Good habits, such as brushing twice a day for two minutes, are so important in looking after your mouth, teeth and gums. Sixty to ninety per cent of schoolchildren and almost all adults suffer from tooth decay worldwide3, so it is more important than ever to instil good brushing routines early on in life. 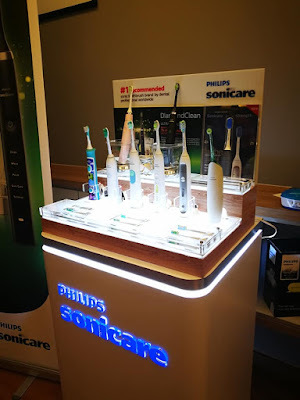 At Philips, we want to encourage preventive healthcare habits with our Sonicare innovations, which can lead to better long-term oral health, and very importantly, better overall health and wellness,” said Muhammad Ali Jaleel, Country Manager, Personal Health and Health Systems Leader for Philips Malaysia. Sugar is a leading risk factor for tooth decay, and 60% to 90% of schoolchildren worldwide have dental caries.4 Tooth decay is the most common disease in children and has a significant impact on a child’s health and wellbeing. Like other bacterial infections, tooth decay can worsen if left untreated. Sugar is a leading risk factor for tooth decay, and 60% to 90% of schoolchildren worldwide have dental caries.5 Tooth decay is the most common disease in children and has a significant impact on a child’s health and wellbeing. Like other bacterial infections, tooth decay can worsen if left untreated. 1 The Challenge of Oral Disease – A call for global action. The Oral Health Atlas. 2nd ed. Geneva. FDI World Dental Federation, 2015 https://www.fdiworlddental.org/resources/oral-health-atlas/oral-health-atlas-2015 (accessed 3 Feb 2019). “ECC can be prevented if parents reinforce good oral hygiene practices at a young age. The earlier the issue is addressed, the less extensive and invasive the oral health treatment will be. Parents often forget that good oral healthcare starts from age 0 onwards. For example, parents who are still feeding their infant at night need to ensure that the infant drinks water to rinse off the sucrose residue from their feed, and make sure to clean the infant’s gums and teeth by rubbing a clean, damp washcloth along their upper and lower gums,” Dr Bala shared. According to the World Health Organization, oral health is a key indicator of overall health, wellbeing and quality of life.2 One of the most overlooked issues is the psychological part of an adult or a child’s development when they lose their teeth - poor self-esteem and social isolation. “A smile is anyone’s most powerful tool. A great smile can make a great lasting impression, boost a person's self-esteem and confidence as well as improve their overall health. Thus, missing or decayed tooth can impact a person’s appearance and social relations, even natural loss of baby teeth among children, as their friends may make fun of the toothless smile. It is important for parents to ensure that their child understands that losing baby teeth is part of growing up, and encourages the child to continue practicing good oral healthcare. The same goes for an adult, it is never too late to start the journey of good oral healthcare. They should ensure that a dental check-up is done every six months and should not be afraid to ask questions about their oral health condition,” Dr Bala added. “Philips is all about enhancing consumer experiences with innovative technology, with the aim of improving the lives of 3 billion people a year by 2025. Toothbrushes, such as our Sonicare DiamondClean, can help you perfect your brushing technique through sensors. With the Sonicare For Kids toothbrush and app, children can discover how to brush properly on their own. The app syncs with your child's sonic toothbrush via Bluetooth to show proper brushing techniques and track performance. 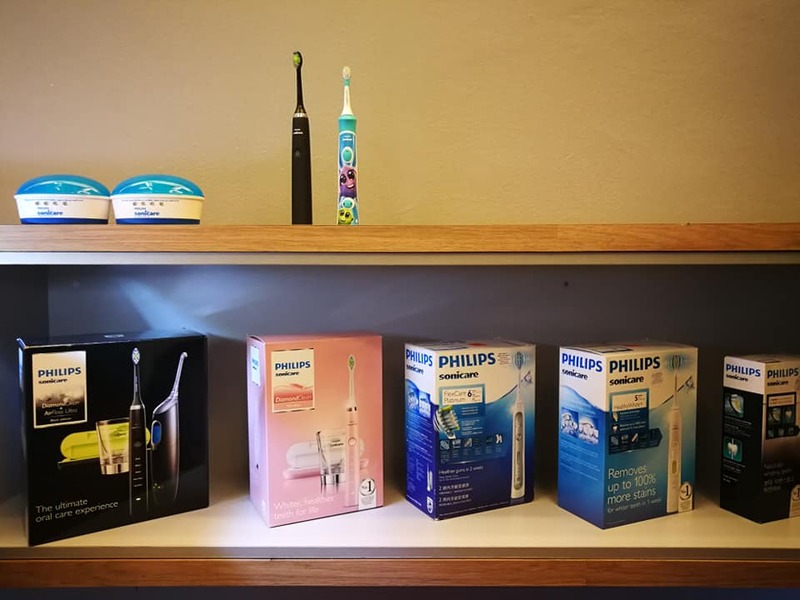 Such data-driven technology and insights can help you and your family make the right choices to protect your oral health and give you more of a professional clean in your own home,” Ali elaborated. Philips Sonicare aims to raise awareness of the importance of preventive measures, such as regular check-ups, for better long term overall health and wellness. Philips Sonicare is a Global Partner of the FDI World Dental Federation and is the official power toothbrush sponsor of World Oral Health Day 2019. You have say right. Oral health care is never too late or early. Anyone can take best oral treatment from best Emergency Dental Care Houston at any age.